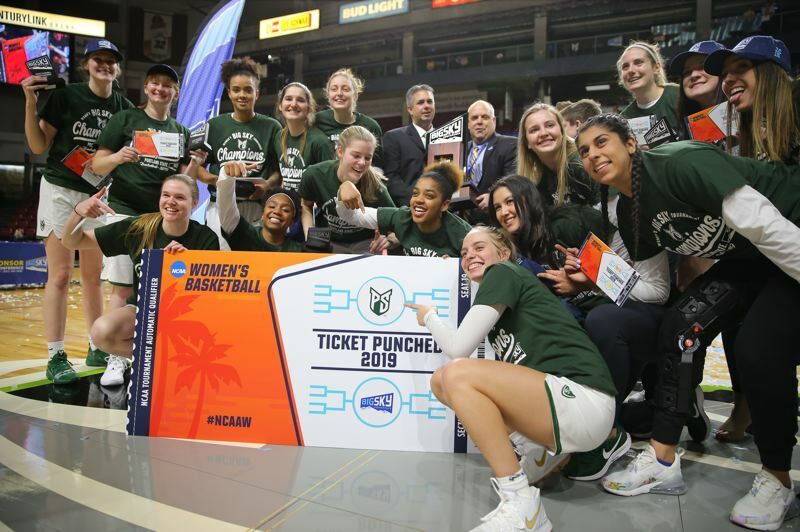 One of the first congratulatory phone calls Lynn Kennedy received after his Portland State women's basketball team won the Big Sky tournament was from Oregon coach Kelly Graves. Friends since Graves was coaching Gonzaga and Kennedy was an assistant at Eastern Washington, they will have an opportunity to congratulate each other again on Friday. And, though the odds are long that it will be Graves congratulating Kennedy, the Vikings hope to make a breakthrough season even more memorable as they face the Ducks at 6 p.m. in the first round of the NCAA Tournament at Matthew Knight Arena. "For us to have a chance to go up against one of the nation's best teams and kind of see where we stack up is exciting for us," says Kennedy, who in four seasons has coaxed Portland State from the bottom of the Big Sky to the top. "We know they're a Final Four-caliber team, so it's going to be a challenge. But at the same time, we're excited about where our program's come." • Oregon, a No. 2 seed, has won six NCAA Tournament games over the past two seasons, twice losing in the regional final. This season, that regional final, should the Ducks win three games to get there, will be March 31 at Moda Center. The path won't be easy for the seventh-ranked Ducks, but at least they should be fresher than they were in last week's Pac-12 tournament, when a driven Stanford team beat an Oregon outfit that was playing through injuries and fatigue. When the NCAA bracket came out on Monday — a couple hours early thanks to an ESPN fiasco that should rankle anyone who appreciates the improving quality of college women's basketball — Graves told the Pac-12 Network his team won't be 100 percent healthy by Friday (no team is at this point) but that the Ducks will be much fresher than they were last week in Las Vegas, Nevada. For a team that relies on the 3-point shot for scoring and to create space inside for power forward Ruthy Hebard, fresh legs are critical. The good news is the Ducks won't have to play on three consecutive days, as was the case in the Pac-12 tourney. They'll need to rediscover their mojo, though, if they hope to clear that Final Four hurdle. Beyond Portland State, the Ducks could face a Texas team on Sunday at MKA that has a rich tradition in women's basketball and has been ranked as high as No. 10 this season and lost by six points to No. 1 overall seed Baylor. Get through two home games in what figures to be an energized Eugene and the Ducks will have plenty of fan support in Portland, where it's possible they will see two familiar opponents. If the seeds hold, Syracuse will be Oregon's round-of-16 opponent on March 29 at Moda Center. The Ducks edged the Orange 75-73 in the Nov. 10 UO home opener. Oregon also held off Mississippi State — the No. 1 seed in the Portland region — 82-74 in Eugene on Dec. 18. • Portland State doesn't care about any of that, of course. The 15th-seeded Vikings know the Ducks well — they met at Moda early in the 2016-17 season and played a non-counting game at the start of last season. PSU senior guard Sidney Rielly says the Viks know they need to make Hebard work to score while still covering the Ducks' perimeter shooters. "Since the last time we played them we've come a long way as a team. So I think we're going to come out expecting to win and give it our best," Rielly says. Rielly points to the defense the Viks played in the conference tournament as one example of that growth. "Our defense really took us through the tournament. Especially in the Idaho game (in the conference semifinals), we came together and we moved on every pass and were talking the whole game," Rielly says. That defense halted a 10-game losing streak to Idaho for the Viks when PSU beat the Vandals 75-59 in the Big Sky semifinals. Idaho averages a nation-leading 11.4 made 3-pointers per game, but hit only 6 of 29 in that game. Now the Viks face the nation's most accurate 3-point shooting team in Oregon (42.0 percent). 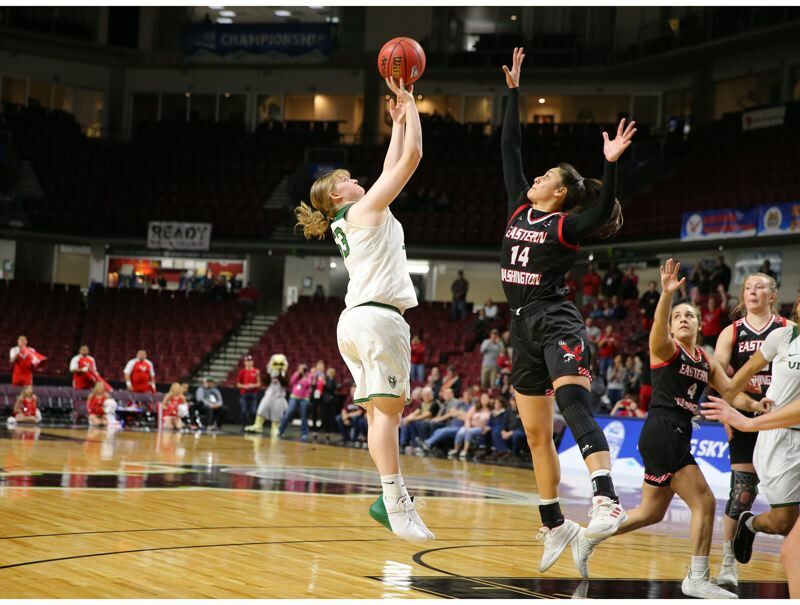 Unless there is a stunning upset, Friday will be the last time Rielly and the seniors who laid the foundation for Kennedy's program play for Portland State. 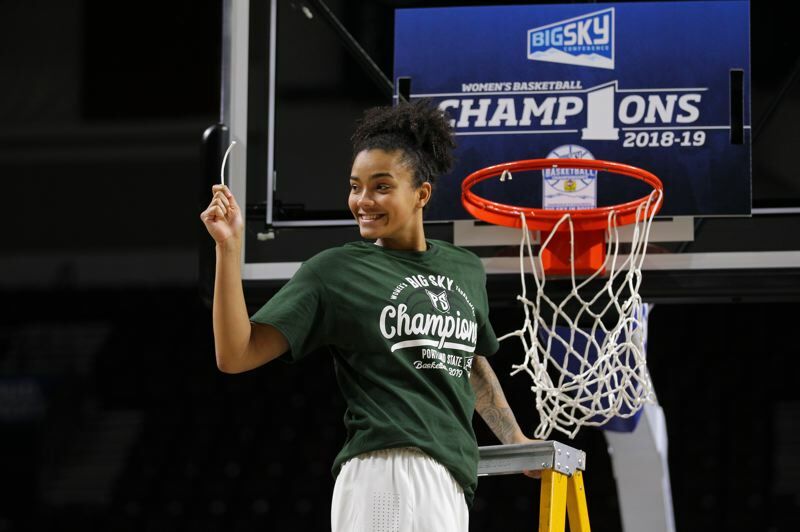 The way this group has become a team — she points to the confidence everyone had in freshman Desirae Hanson to make the jump shot with three seconds left that beat Eastern Washington for the Big Sky title as an example — will be among Rielly's lasting memories. "Being able to go out on top of the league after starting out near the bottom of the NCAA is a great feeling of accomplishment and of teamwork," Rielly says. "We really have exemplified that and built that over the last couple of years." • Over the last three seasons, Oregon State has won nine NCAA Tournament games, reaching one Final Four and last season's Elite Eight. Losers of two of their last three games, the No. 4-seeded Beavers start this NCAA Tournament at home at 2:30 p.m. Saturday against No. 13 seed Boise State (28-4). The Mountain West Conference champions are seeking the program's first NCAA tourney win, and were disappointed to fall to a 13 seed. Former Oregon Duck center Mallory McGwire, a junior, and former Southridge High standout Maggie Freeman, a freshman guard, are redshirting and did not play for Boise State this season. The Beavers' second-round opponent could be No. 5 seed Gonzaga (28-4), which plays 12th seed Little Rock (21-10) in Saturday's first game. The Zags, who posted wins over Stanford and Washington State this season, enter the tournament without injured starters Jill Townsend and Laura Stockton. In 2015, the Zags beat the Beavers in the NCAA second round at Corvallis. • Friday's Eugene games will be a homecoming of sorts for Indiana sophomore guard Bendu Yeaney. Yeaney, out of St. Mary's Academy, averages 9.4 points and 4.2 rebounds as a starter for the Hoosiers. Indiana won the WNIT last season and is in the NCAA Tournament for the second time in four seasons. • Don't expect a high-scoring battle when 12th-seeded Oregon and fifth-seeded Wisconsin square off at 1:30 p.m. Friday at San Jose, California, in the first round of the NCAA men's tournament. The Ducks rank 19th nationally in scoring defense (63.3 points per game allowed). The Badgers rank eighth (61.2). In field-goal percentage defense, Wisconsin is ninth (.393) and Oregon 26th (.402). An Oregon win would push the Ducks' win streak to nine games and avenge close tournament losses to the Badgers in 2013 and 2014, years when Wisconsin reached the Final Four. A Ducks triumph also would be nice for the Pac-12, which was winless in the 2018 tournament and has only Oregon and Washington in the 64-team dance this season, with Arizona State playing in a First Four game on Wednesday against St. John's. Washington, the Pac-12 regular season champion, is a No. 9 seed and will face Utah State at 3:50 p.m. Friday in the Huskies' first NCAA Tournament game since 2011.